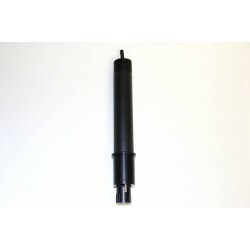 The 01-Series Conductivity Electrode is a general purpose, laboratory electrode offering affordable, platinum sensor performance for many water applications. Features: Glass body with standard 12mm diameter and 120mm length 2-cell glass/platinum plate sensor design Cell constants to cover all the popular ranges (K=0.1, 1.0, or 10) Suitable for all general purpose or advanced applications .. 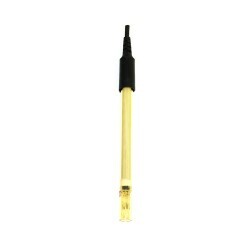 The 02-Series Conductivity Electrode is a general purpose, laboratory electrode offering affordable, platinum sensor performance for many water applications. 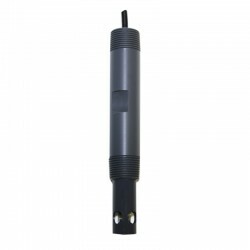 Features: Epoxy body with standard 12mm diameter and 120mm length 2-cell glass/platinum plate sensor design Cell constants to cover all the popular ranges (K=0.1, 1.0, or 10) Suitable for all general purpose or advanced applications .. 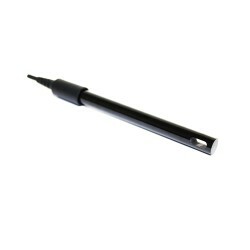 The 03-Series Conductivity Electrode is a general purpose, lab or field electrode offering affordable, graphite sensor performance for many water applications. Features: Epoxy body with standard 12mm diameter and 120mm length. Does not include a temperature sensor. 2-cell graphite plate sensor design Cell constants to cover all the popular ranges (K=0.1, 1.0) Suitable for all general purpose or applications without ATC .. 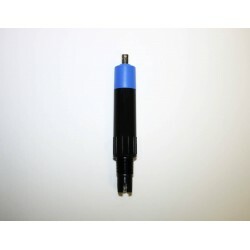 The 13-Series Conductivity Electrode is a general purpose, lab or field electrode offering affordable, graphite sensor performance for many water applications. Features: Epoxy body with standard 12mm diameter and 120mm length. Integral temperature sensor for automatic temperature compensation. 2-cell graphite plate sensor design Cell constants to cover all the popular ranges (K=0.1, 1.0) Suitable for all general purpose or advanced applications .. 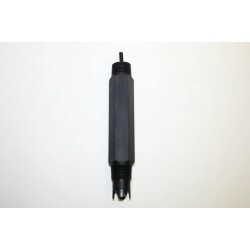 The 25-Series Conductivity Electrode is a general purpose, lab or field electrode offering affordable, graphite sensor performance for many water applications. Features: Affordable ABS body housing with standard 12mm diameter and 120mm length. Integral temperature sensor for automatic temperature compensation (ATC). 2-cell graphite plate sensor design Cell constants to cover all the popular ranges (K=0.1, 1.0) Suitable for all general purpose or.. 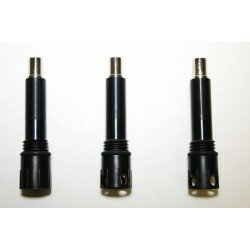 The 40-Series Conductivity Electrode is a general purpose, lab or field electrode offering premium, 4-cell, graphite sensor performance for many water applications. 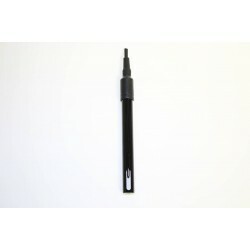 Features: Epoxy body with 16mm diameter and 120mm length. Integral temperature sensor for automatic temperature compensation 4-cell graphite, "bulls-eye" plate/ring sensor design Covers most ranges very well with one cell constant (K=0.45) Suitable for all general purpose or advanced.. 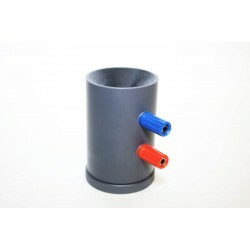 The 55-Series Conductivity Cup is a specialized condutivity measurement system that was developed for solutions such as paints. With it's removeable bottom, it is easily drained and cleaned. It can be designed with simple 2-cell or more advanced 4-cell technology and include platinum, titanium or carbon sensor elements. Features: Unique cup type conductivity measurement system ABS housing is easy to clean with removeable bottom Easy-to-use scre..